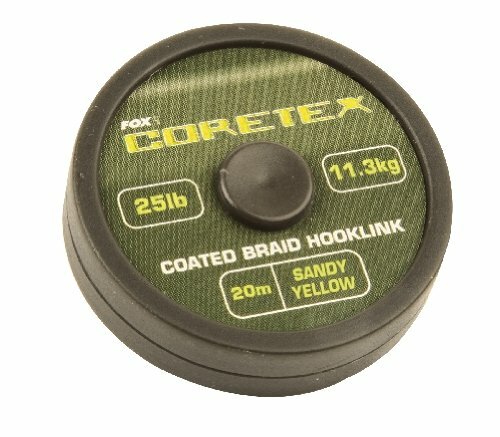 CoretexTM is a coated hooklink material with a soft inner braided core woven from an exceptionally strong fibre that offers superb strength and reliability. This is bonded within an outer sheath which gives protection from abrasion, while providing good anti tangle properties and the required stiffness for advanced rigs. CoretexTM is coated with a low visibility camo finish which is available in a choice of Weedy Olive, Gravelly Brown or Silty Black.